Seven four-line staves in red. 300 dpi, JPEG. 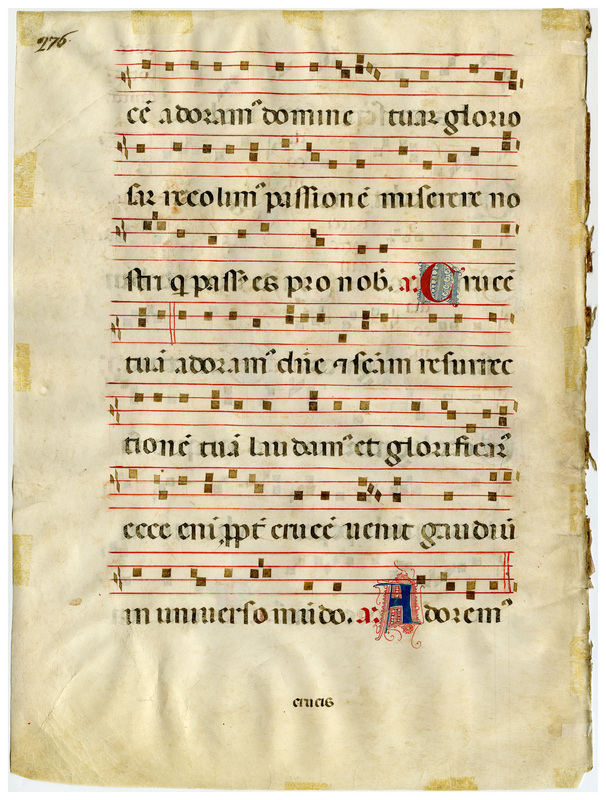 495x360 mm, written area 390x270 mm. 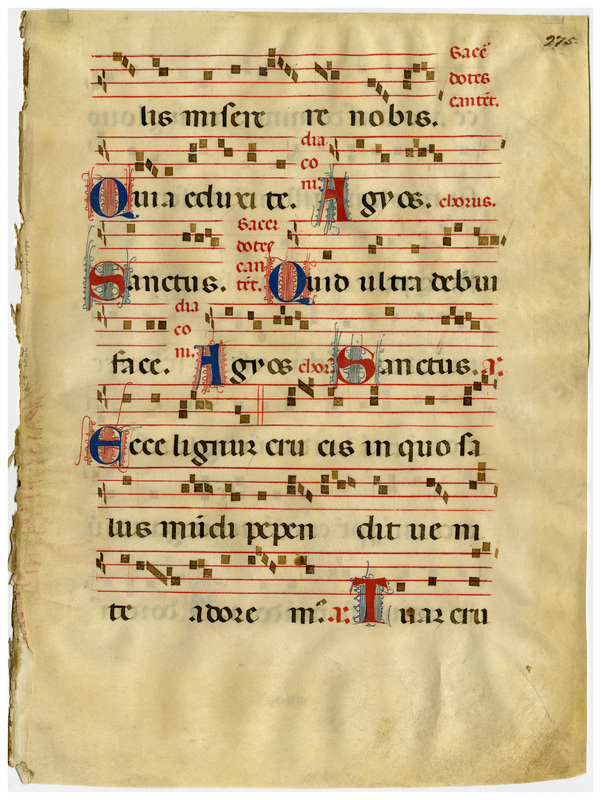 “Leaf from unknown antiphonal,” Digital Exhibits | Denison University Archives & Special Collections, accessed April 23, 2019, http://exhibits.denisonarchives.org/items/show/23.